In Des Pawson’s Knot Craft, Des mentions that Sailors would swab the decks using giant swabs made from old rope. Also scaled down versions were made to wash dishes and also used as hand sweepers to clear crumbs from tables. Ashley Book of Knots also has a selection of different variations on page 566. 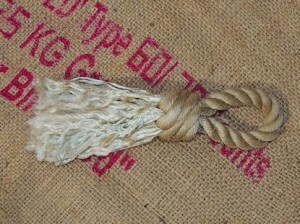 In my particular case I had some this is very old cotton 3/4 inch diameter rope that I salvaged from somewhere. I would say that it would be better to tie it from manilla, as it is a little firmer and courser, which makes it more ideal for actually doing the job. I cut myself approximately a 36″ length of rope. I then centred the rope and formed a loop that felt comfortable, which I then held together using a constrictor knot. I then unlayed the strands up to the constrictor knot, so that I ended up with 6 separate strands. 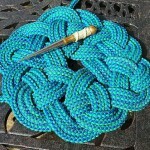 I then tied a constrictor knot onto each of the strand ends. The using all 6 strands I created the Matthew Walker knot. 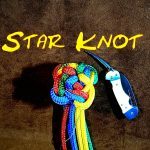 I spent a lot of time pulling it up tight against my first constrictor knot that I made to hold the loop together. 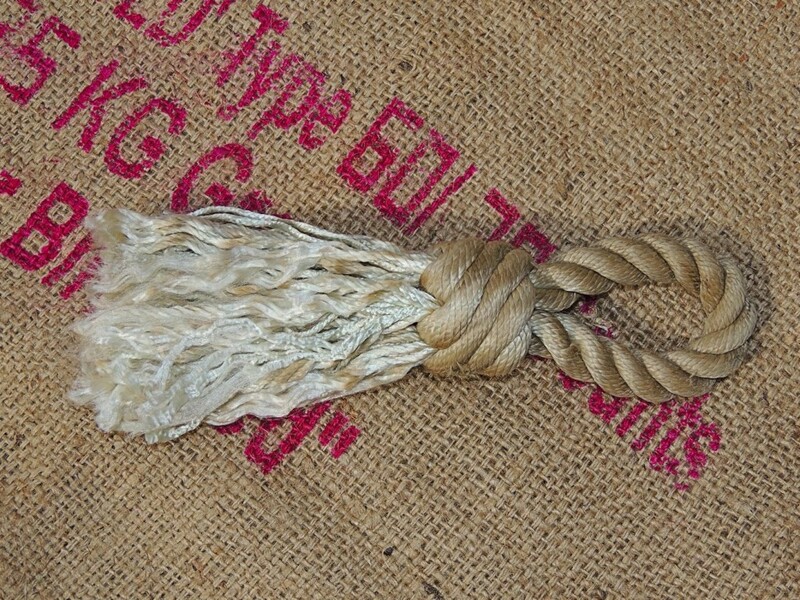 Finally I removed all the constrictor knots, cut the strands to length and then started to comb out the tassels. As you can see from the picture, this still needs a lot more combing! I have a few of Des Parson’s books. Truly enjoy them.I live in Nova Scotia, Canada and I’m making a sailors whisk someone who wants to clean their wood stove with it. Would you make it with Natural Manila or Manila that has oils in it. Is one type stiffer then the other. I think the type of rope to use really does depend a bit on the job it is being used for. 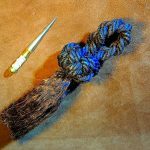 My understanding is that originally old rope was used for swabbing the wooden decks, so a fairly course rope would be needed. 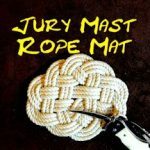 I would suggest that if you are able to feel the rope, prior to purchasing then you will get a good idea of how course and stiff the strands would be. In the case of the one that I made above, I used a man-made fibre. I have to say that I ended up producing more of a feather duster than a scrubbing tool. 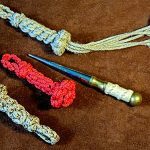 With regards to your question on the two types of Manila I am not sure? However do come back again as I have asked some old seadogs to comment. I am not too sure of the two types of Manila, many years ago during my seamanship training, we were taught Manilia was robust enough, not to require rot-proofing, and at sea I only came across plain Manilia with no dressing.